It is often the case that a population of interest is connected by a network of relations, and that it is beneficial to exploit this network in the sampling process. This typically involves a form of link-tracing sampling, in which subsequent sample units are selected from among the network neighbours of earlier samples. Although the various link-tracing sampling designs have much in common, the foundational assumptions and approaches of existing inferential strategies vary widely. Inference is also affected by the selection procedure for the initial sample, specifics of the link-tracing process, and other information available about the population. In this talk, we present a conceptual review of classical and recent approaches to inference from link-tracing network samples, highlighting the foundational assumptions required by the methods and their implications for inference. We review the current state of research and outstanding issues. Krista Gile earned a PhD in Statistics from the University of Washington in 2008. 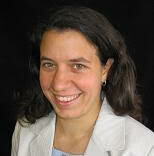 She was a postdoc at Nuffield College, Oxford, then joined the Statistics faculty at UMass, Amherst in 2010. She is currently Associate Professor of Statistics. Her work develops statistical methods for social and human sciences, especially for partially-observed network data. For more details, visit http://people.math.umass.edu/~gile/.